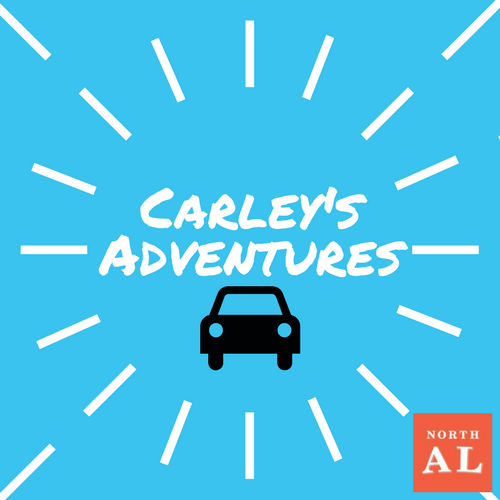 The first episode of Carley&apos;s Adventures is at Noccalula Falls Park in Gadsden. 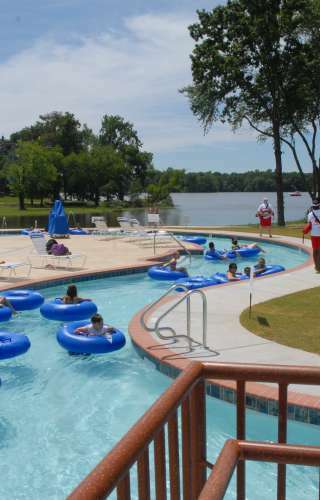 The park is named after Creek Indian princess Noccalula. 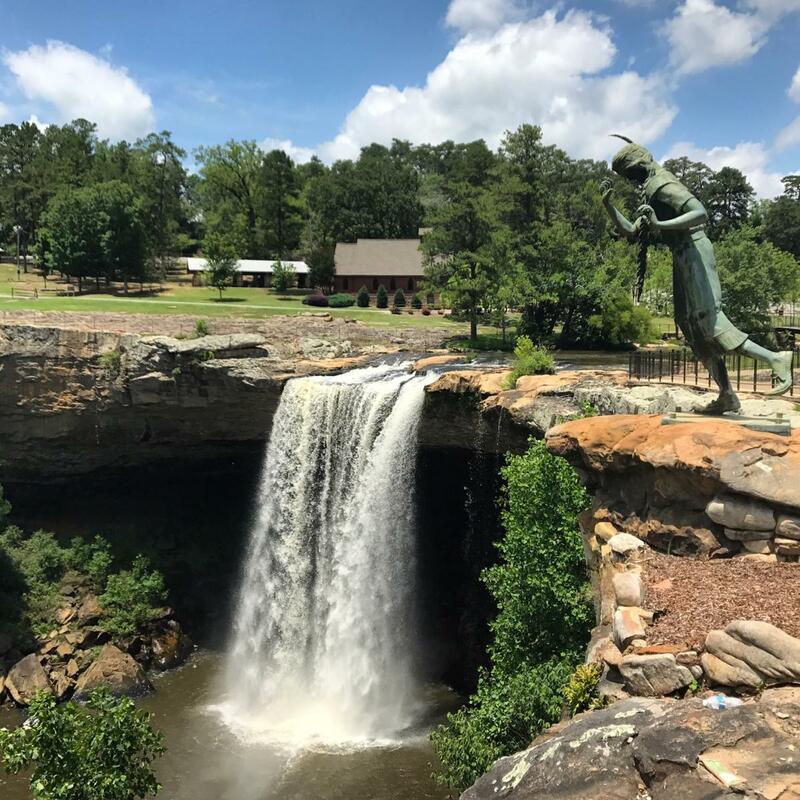 There are so many fun things to do at Noccalula Falls! Of course, the main attraction is the 90 foot waterfall that falls and flows into Black Creek. Beside the waterfall is the iconic statue of Princess Noccalula. This waterfall is also on the North Alabama Waterfall Trail. If you feel adventurous, you can hike down a trail and behind the waterfall. You can even splash around a little in the creek. Please wear appropriate shoes for hiking this trail. There is a replica Chattanooga Choo Choo train that carries visitors all around the park, stopping at various locations. The train is complete with a conductor who tells you about the features of the park. 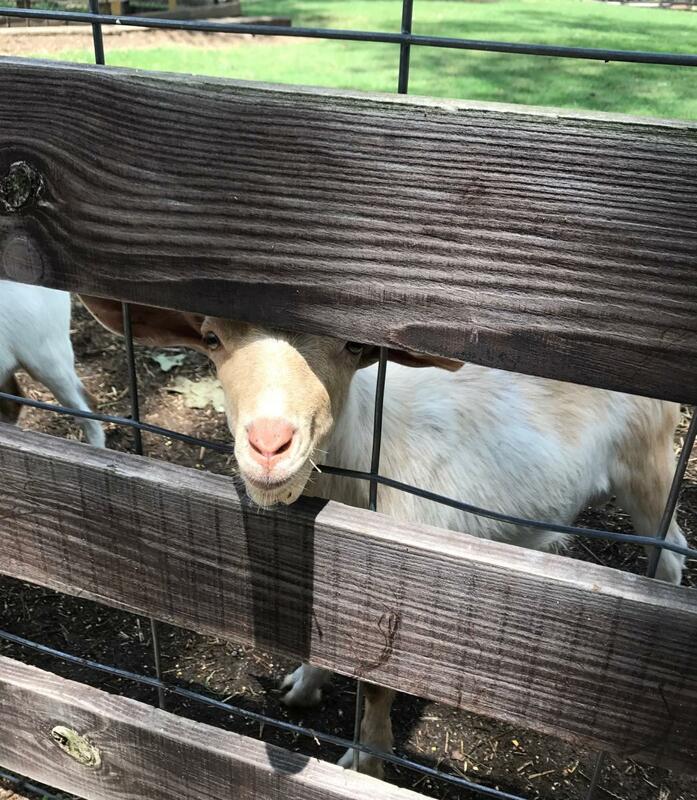 The petting zoo has all kinds of amazing animals you can pet and feed. 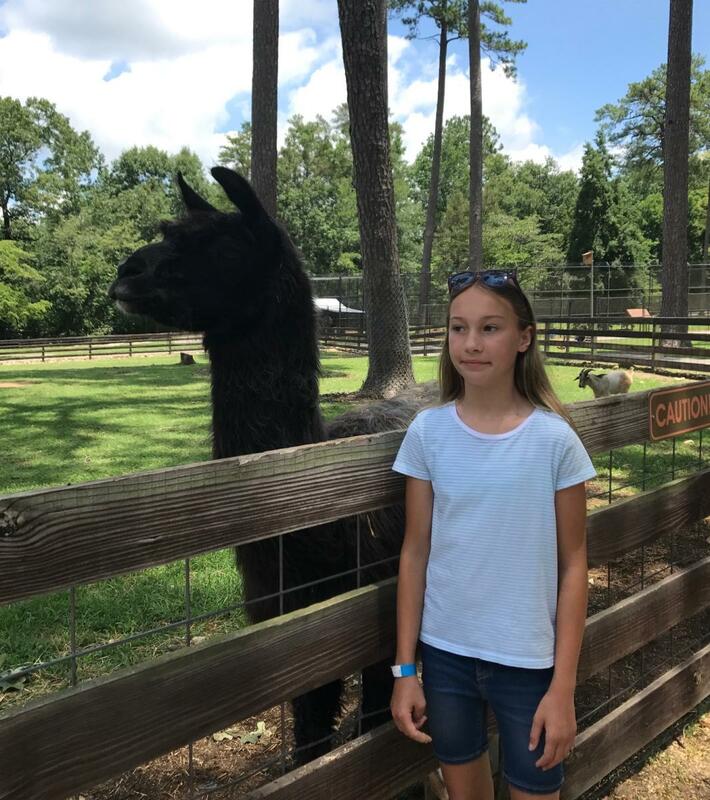 Beware of the llama; he&apos;s greedy. There&apos;s even a 400 lb. lion named Shelia! Kids will love climbing on the rocks and adults can see if they can make it through "Fat Man&apos;s Squeeze"! For the history buffs, there&apos;s a pioneer village that has buildings from the 1700s and 1800s. Play a round of miniature golf at the 18-hole course just outside the main park. Cool off with a Frios frozen pop in lots of delicious flavors. 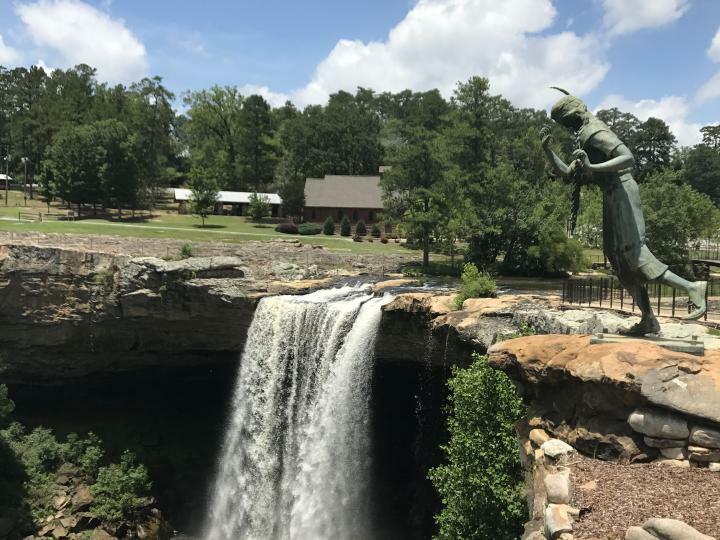 Noccalula Falls Park is a must-see in North Alabama! Make sure you watch the first episode of Carley&apos;s Adventures on YouTube: Carley&apos;s Adventure: Noccalula Falls.